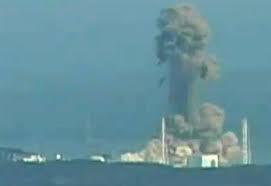 As for many of you I have been watching extensively the frenzy around the nuclear problem in Japan. Journalists are speaking without knowing and they are “honestly” transforming the news (I think it is hopeless) to get more viewers. At the same time our politicians see here a good way to cash easy votes. Do not believe everything on the news, make you own inquiry. I do not want to minimize the nuclear accident that happened but the attitude of the media is just not correct. As far as I know, the main problems that our Japanese friends are facing are the repeated earthquakes and the consequences of the Tsunami. Relatively (so far) the nuclear problem seems to me as not being so important. Thousands of people have died because of the tsunami and the country will have difficulties with food, gas, and elctricity. I hope that all our friends there will get over these bad times and that Japan will recover fast from this nightmare. Also I invite you to read Duncan’s last post with the possible interpretations of the theme of the year: kihon happô at http://tazziedevil.wordpress.com/ it is excellent! I am still going to Noda mid April (unless our politicians forbide it and/or the situation evolves in an unexpected dramatic manner). Next Post Japan: Stop Howling, Act!